That is already on the live server. Unless it has been removed in the last 3 weeks. I got to see it when doing episodes with my friend. I think you had to access a terminal to get it, if I remember correctly. It was required to complete the mission. That is already on the live server. Nope, just added to tribble yesterday. The original version of the mission had cutscenes, but they mostly had the NPCs standing in one spot talking to each other rather then moving around like they do in these new versions. I like this new animator. I knew they had to be working on it, that scene when I just did it on my other character had Sela in the viewscreen AND in the background like she was waiting for something. It was funny. According to Weston, the animator doing all these, they plan to go back through most of the old content to touch up the cutscenes. What he meant exactly by that is unclear, it could just be the Klingon War - Borg arcs, or he could maybe eventually redo all the cutscenes up to ViL. In the past Cryptic has generally considered everything from the introduction of Nukara onward as being good enough to not warrant revamping, but this isn't a total mission revamp, just cutscene revamps, so I don't know if that qualifies. They're doing other nice touch-ups besides the animations. I was playing the early Fed missions a week or so ago and noticed the one to bring the Vulcan ambassador to P'Jammas has been tweaked to improve the dialogue before beaming down and to remove some of the ground combat. A few people at Cryptic, even the new EP himself, mentioned that when the new EP came in, he played through all of the games content so he could understand where the game is, and what its doing, and came away questioning the quality of the games earlier content. He also didn't like that the response he got back from the devs was "ohh, that's stuff we made years and years ago, and no one has touched that in forever". So, he basically told them to go back and make it better. I'm going to make a pretty big assumption and guess that the Landry focused "Limited Engagement" TFO coming out in April is going to be the replaced Starbase 24 Rescue ground TFO. I imagine that the work they are trying to do for these cutscenes is to make things more expressive and closer to how the TV series did things in terms of characters talking to each other. Yes, the original STO cutscenes were just people standing in one spot and talking, but these revamps are obviously designed to make them more dynamic, and interesting, and all that. The cutscenes have always been one of the weaker parts of the story missions IMO, due to how stiff they were. But the revamped Klingon War cutscenes, and these ones for Emrpess Sela, are much better, as are the ones for ViL, and AoD, which Weston also worked on. Whoever that guy is doing character animations in this game that weren't seen before with the recent missions and on deserves recognition. 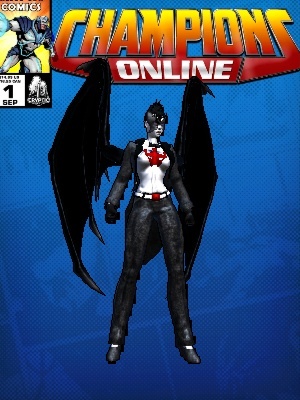 This is a very old MMO and he pushes the limits of what's been done prior. There was also that "Play with the devs" event testing the new RTFO system where Kael had to play Cure ground with the devs watching him. The devs were like "wow, this is worse than we remembered it being". Yeah, outside the TFOs I mentioned that got pulled and replaced, the Borg ones are probably in the worst shape of the TFOs we have available to us currently. But Cryptic has said they want to revisit the Borg, make then end-game enemies again, and have talked about using that as a reason to remove and replace the infamous broken and unfinished Defera with something new. I would hope that the Borg TFOs, or at least the original ones like Cure, Khitomer, and Infected, get revamped along side such a hypothetical new Borg arc. They have replaced pretty much all the other TFOs at this point except Big Dig and Mine Trap, so the borg ones getting a revamp isn't too far fetched. Hell, they revamped Foxes and Hounds and DS9 Under Siege, and those got pulled back in like 2011? They have said that all of the removed missions are coming back, but not necessarily as separate missions. Like, they have talked about possibly merging "City of the Edge of Never" and "Past Imperfect" into one mission. I would suspect they could easily do the same with Hide and Seek/Stop the Signal, The Kuvah'Magh/Treasure Trading Station, and Task Force Hippocrates/The Ultimate Klingon, since most of those are just the same story split up into two, overly padded out, missions. That's sounds good. I hope they do not strip out too much (e.g., oversimplify). Streamlined with a solid story is okay, dumbed down is less fun. From what I've seen in the Cardassian arc they haven't done that. No important story beats were removed during a the merge just trimming the fat by removing padding or elements that didn't make much sense. 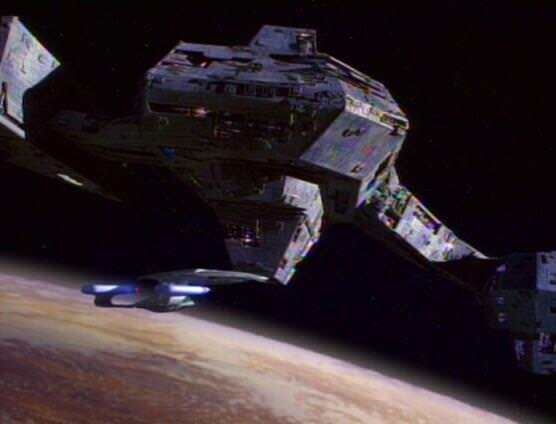 The removed missions for the other arcs typically involved pointless, often nonsensical, side things like Section 31 setting up a test to prove your loyalty that goes nowhere and is never mentioned again, or DS9 getting attacked three times, twice by Undine, and once by the Mirror Universe, in the span of just like 14 missions in the old Cardassian arc. All the major stuff like the Badlands, finding the Orb, talking to the Prophets, needing to go to the Mirror Universe to switch it out, fighting a major Mirror Universe NPC(leeta in the revamped version) and dealing with Laas and his New Link, stayed in the revamped version. 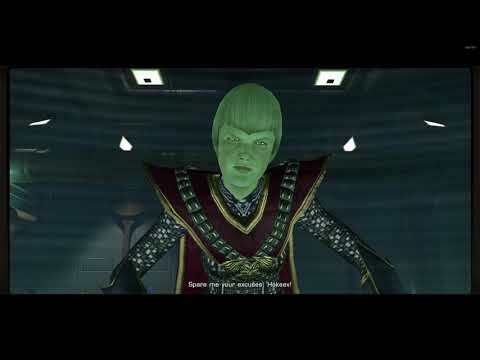 SO far the New Romulan cut scenes are nice maybe they take a look at ships and actually put the weapons as far as shoting and such in the right places on the ships and scale ground weapons and equipment to be more realistic instead of running around with a Toyota Hybrid for a phaser Rifle and a Chevy 3500 for a pistol lol. I think that ship might be T'nea's flagship, rather then just a random ambassador-class ship. Though I could miss remembering thing, so don't quote me about it. Yea... I believe the Ambassador Class is T'Nae's ship. What kinda irks me though is moving Temporal Ambassador into a different arc, because one of the rewards is actually a playable Ambassador/Kamarag for T3. The arc its in now... no point in even USING it other than for Admiralty Card because you're already past T3 ships. Yes, that's a problem. The mission should be earlier so players can use the ship during their grind. I like the fact they are redo doing old stuff, and i like her anger. However her walk is too girly. Sela never came off a flirty or feminine because she never used her looks, just her brains.